I’ve recently discovered a passion for watercolor paints.They are not the easiest medium to work with because they tend to have a mind of their own (like me) when it comes to how they move on paper. But man oh man, even just trying to get used to them is fun! In keeping with my current philosophy of “keeping it simple” I spread my “stuff” out on my kitchen island – GrumbacherTransparent Watercolors , some Fabriano Watercolor paper , a brayer and my newest favorite tool, a Catalyst Silicone Wedge and set out to just play. 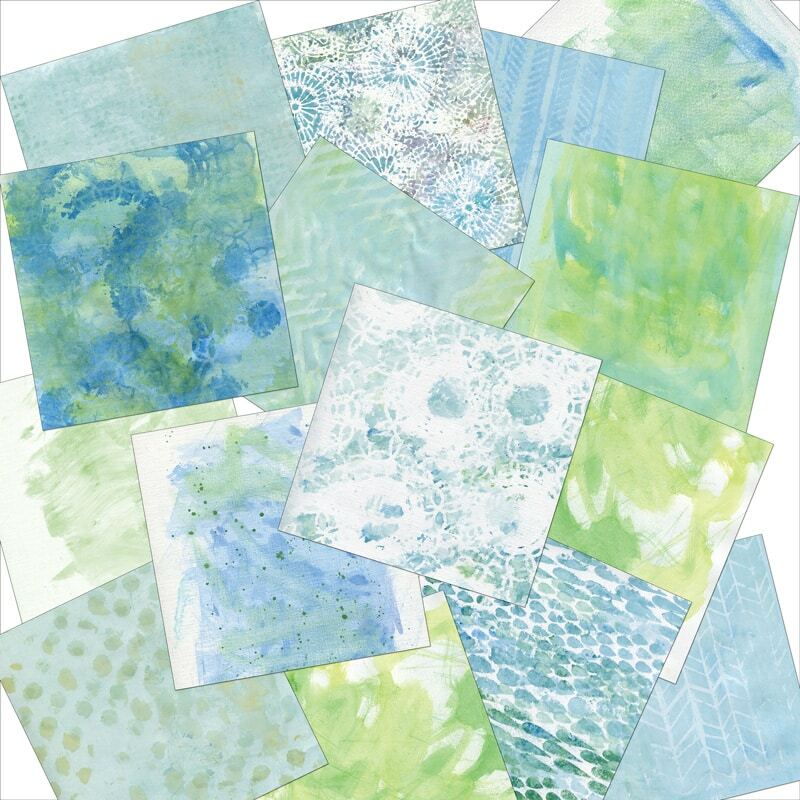 Blues and greens were calling to me and I experimented with laying down the watercolors on both dry and wet paper. I moved it around with various-sized brushes and used the Wedge and the brayer to get the paint splotches to meld into each other. I dropped some salt on some of the wet watercolors; I spritzed more water on some pages; and other on others I splattered paint. Before I knew it, the island was covered with watercolor backgrounds … and my fresh manicure speckled in blue and green paint. Aren’t they pretty? So pretty that they inspired me to create a new kit “Summer-ish”. My scanned backgrounds form the basis of the textures used on the elements and painted accents. 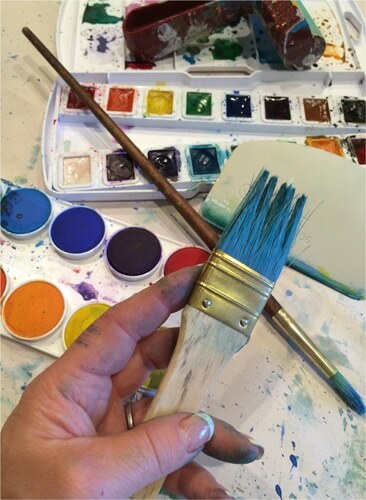 Have you ever played with watercolor paints? Thank you, Su! Hope you’re doing well girlfriend! Summerish is wonderful! So is Art for the Soul! Watercolors are so neat! I am glad you got in to it like you did! The results are divine! Must put them on my Wish List!